As cease fire between Hamas and Israel gains traction, Hamas leaders meet with Qatari envoy. 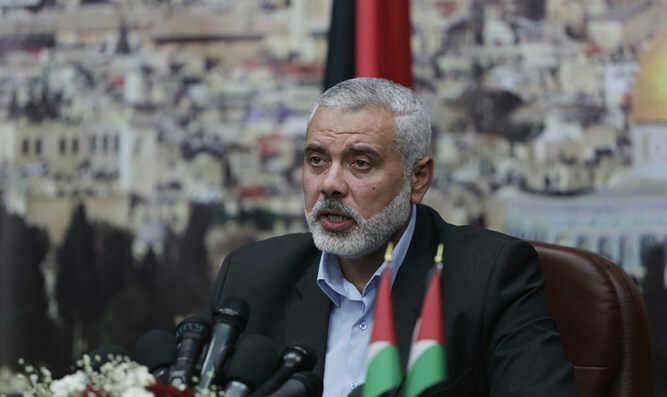 According to Hadashot, Hamas leader Yahya Sinwar was also present at the meeting, which was held at Haniyeh's home. The report comes as a long-term cease-fire between Israel and Hamas appears to be gaining traction. A central part of the deal has been Qatar's efforts to rehabilitate the Gaza Strip. Qatar, which has poured billions into Gaza, is home to former prominent members of Hamas including ex-leader Khaled Mashaal. As part of the emerging cease-fire, Gaza's civil servants will receive their first paycheck in months on Friday in a payout funded by Qatar. Qatar will pay Gaza's governmental employees their outstanding paychecks from the month of August. Within the near future, Gazans will also be paid for the months of September and October. The $90 million will be transferred via the United Nations and will not go to terrorists belonging to Hamas' Izz ad-Din al-Qassam Brigades.